Looking for private in-home or in-studio Music Performance lessons? Our Clarksville teachers are ready to get you started. Find your teacher today! Check out some of our most popular teachers near Clarksville, MD including Washington, Baltimore, Arlington, Alexandria and Silver Spring. I teach students how to play in their school bands, how to play drum set in the club scene as a constantly working drummer, and also how to perform in world class concert acts that would play theaters, large concert venues up to and including arenas. Need help preparing for a big performance? Want tips on performance anxiety? Need a little extra polish or a second opinion? 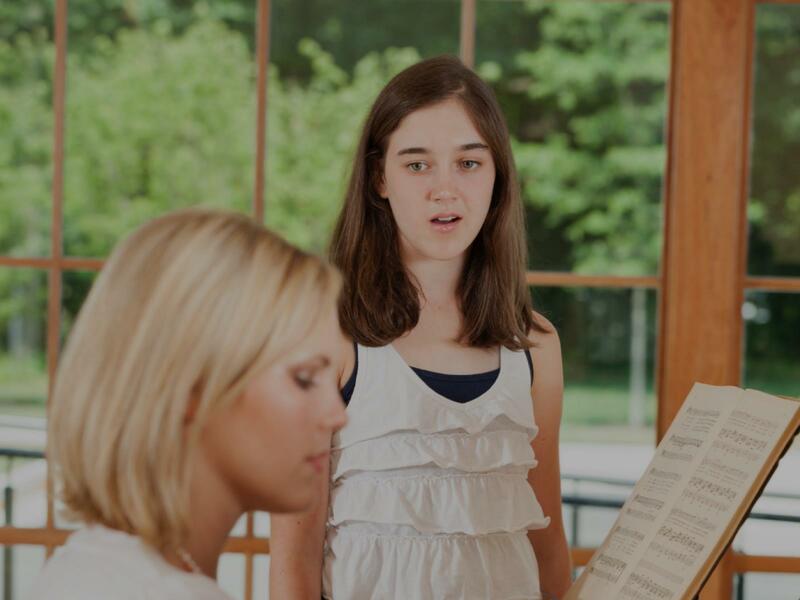 As a private music teacher, I provide instrumental, vocal and music training for children and adults of all ages. I have developed and prepared learning materials and repertoire for my students at different stages of their musical development; I teach individual and/or group lessons lasting from 30 minutes to an hour or longer, usually incorporating elements of general musicianship, such as ear training and theory, as well as instrumental technique and interpretation. Also, I do arrange performance opportunities for your my students, such as concerts for friends and relatives; preparing them for performances, examinations, auditions and festivals. My name is Aleksis B., but many of my students know me as Mr. B. I am a professional instructor and performing musician who combines a love of music with a desire to help others who want to achieve their highest musical potential. I try to make that passion show in everything I do. My education includes classical voice training with Michele Howard Hansen, an opera singer that often performs at the Kennedy Center. I studied piano with Geoffrey Chappell, who writes for Jazz Times. I also received compositional training on multiple instruments from Stanley Cowell, who recorded and performed with legends like Miles Davis. I have been performing professionally since 1992. I studied education in college and did my student teaching in a music class at Goshen Elementary School in Gaithersburg, Maryland. ofessionally now for over twenty years. Some students want to take a few lessons to see if it is something they will enjoy, others have worked with me for over a decade. I have mentored several students who have gone on to professional careers. I have experienced a lot of success teaching young children and those with special needs. I have been blessed with a tremendous amount of patience and truly enjoy teaching anyone who wants to learn. Whatever your goals or abilities, I look forward to working with you! Experience fun based lessons as my teaching approach is relaxed and inspirational. I enjoy working with all ages, adjusting my teaching methods to accommodate your learning style and abilities. Learn to play the music you love! You learn best when you enjoy what you are playing, I can help you play along with your favorites or even write your own songs. I always ask my students at the beginning of a lesson "What would you like to do today?" Then structure the lesson accordingly into a routine that the student can practice on their own. Generally the time is divided into warm ups, learning new material, then picking a fun song the student choses. Whether your interest is Classical, Jazz, Rock, Pop music, etc... I'm here help you reach your goals so let's make your dreams come true with music together! With Voice I specialize in helping people prepare for auditions such as American Idol. I have students who simply want to be karaoke stars. I have several professional singers that hire me as a voice coach and producer for recording sessions. I have taught children as young as 2 and those that retired with a lifelong dream to sing. Though my training is classical, I can teach Jazz, Pop, Rock, Rap, R&B, etc...whatever is fun for the student. I highly recommend learning to read music but I do not push it unless parents want their child to. With Piano I can teach traditionally from Alfred and Bastien Piano Courses depending if they are auditory or visual learners. For Kinesthetic learners I use Hanon scale exercises and Rothman Rhythm Exercises. For those that want to learn notation I introduce classical and Jazz composers unless there is a popular artist/band/movie theme etc...that they would like to learn. However I do not push students to read music unless their parents would prefer it. I tend to keep more students that want to learn to play by ear especially adults by using rhythm training and music theory exercises and then applying them to songs they love. For piano I haven't had much success with children younger than 3. I also have a lot experience working with special needs children. For Guitar I teach Classical, Acoustic, and Electric all styles and genres. I encourage sight reading but don't mind using tabs. I use more exercises with these students, since the first month students have a hard time making a sound. I try to make the lessons fun by having students strum chords along with songs they chose. I teach lead and rhythm even songwriting and composition. Job satisfaction for me is seeing my students leave a lesson with a smile on their face so I make sure to be a fun based teacher that doesn't give the student a hard time about not practicing. For Recording and Performance I use the knowledge I gained doing Pro Audio Sales for Guitar Center from 2000-2002 to help clients build their own home studio. I have lots of producers and engineers I work with on a regular basis to produce broadcast quality audio and video recordings and help my students use their lessons and pre-production for those opportunities. I can teach Garage Band or Pro Tools classes on navigating the software and utilizing all the commands. I can also teach room acoustics and using the right microphone and how to position them with the right equipment and the right acoustics to get the best possible tone that they are looking for. I can also teach editing, mixing, looping, sampling, midi, and mastering so that the student can eventually work on their own writing, performing, and recording their music. Aleksis is a very patient and encouraging instructor! I’ve learned a lot in a few weeks time. Aleksis did an excellent job designing the lesson to fit my expectations and needs. He was very pleasant and patient. derstand that every student is a little bit different. Every student has different strengths and weaknesses. Every student has a different learning style. Every student has a different way of understanding things, a different way of processing information, and a different personality all together. It will be my job as a teacher to get to know each student individually and use my teaching methods to teach the student how to play the violin and help him or her to reach his or her goals. I am a laid-back person. I am easy-going, enthusiastic about violin playing and about teaching and learning music, and I am very patient with my students as well. However, I am also very demanding. I explain and demonstrate objectives in a very precise way, and I demand a lot of detailed work from my students, inside and outside the lesson. I explain specifically what I want the student to do. By the end of every lesson, the student will have specific things to work on for next time. I expect each student to make practicing a habit, and practice regularly what has been discussed in the lesson. I try to make the lessons as pleasant and as laid-back as possible. But I become more firm, serious, and strict when a student either is not making an effort or does not practice enough outside the lesson. I start students off with the Suzuki method. We work on techniques to hold the violin properly, hold the bow properly, and get a decent sound out of the violin, without too much physical tension. A student begins by learning to play by ear. After he or she is comfortable playing by ear, we associate the notes that the student hears and plays on the violin with written notes on a page. We also work with the Paul Roland methods so that the student can learn the violin in a basic, rudimentary way. It involves a lot of repetitive patterns, back and forth motions that are slow and round, and avoiding excessive tension. This will give the student the tools that he or she needs to learn how to play the violin in a short period of time. In three to six months, a student who is a beginner will be able to hold the violin and bow comfortably, create a decent sound on the violin, and play the Twinkle Variations, and maybe a few other songs. If the student has played violin before, then in three to six months, he or she will have had some rehabilitation to get rid of tension and force, overcome some bad habits he or she may have developed, and review the fundamentals of violin playing. I will improve the student's approach to the violin, and by the end of the three to six months, he or she will have a better idea on how to practice and play the violin. I will provide a stand. I will expect the student to have a violin, rosin, and a pencil. Suzuki Method- a starting point, particularly for kids, but for people of all ages. It is a good way to begin learning the violin by playing by ear, developing a strong, clear tone, and bringing out one's individuality through his/her musical development and his/her ability to be expressive. In a matter of time, I want the student to get used to reading music, in addition to playing by ear. This can be done through the pieces in the Suzuki method or through other music. Eventually, I take the student off of the Suzuki method and work with him or her on classical repertoire. I recently start to learn Violin with Jonathan and learn a lot more than what I was expected! I was a little bit disappointed because I heard it's late to start violin in my age but since I start with Jonathan, he always been helpful and encourage me. He's very knowledgeable and perfectly patient. He has the ability to listen and understand where I am in my learning curve and adjust his lessons to my skill level which I love about him. Not only he knows his stuff and makes his teaching personal to your needs, but he also has a way to make you feel successful even when you are struggling. I always feel better about my playing when I leave his class. What I like about his teaching style most; he hands you a key to learning more rapidly. I think this is the best kind of teach that you can find. For these reasons I highly recommend him and I truly appreciate his time, patient, and knowledge. I wish one day come to I play like him; clean, easy and professional :-) ! Jonathon is a very enthusiastic and professional teacher. My son has been learning from him for 6 months and we are very happy with the experience and progress. Highly recommended! My son has been learning violin lessons from Jonathan since the summer of 2014 when he was 10. We are so fortunate to find Jonathan at takelessons.com and very happy and grateful to have him as a private tutor throughout the years. Jonathan is a brilliant musician and passionate violinist, very professional. He is really good at teaching, very patient and detailed. Whenever my son made a mistake, he would immediately point it out and show him the right way to do it and have him practice time and time again until he got it right. He would also write notes on my son’s music sheet to remind him things he needs to pay attention to during his practice at home. Jonathan also organizes recitals regularly for all his students to gather together and play in a concert like atmosphere and interact and learn from each other, which is really a wonderful experience. Jonathan can be reached easily by text message, email or phone and we have never run into any problem rescheduling a lesson or anything else. I highly recommend Jonathan for anyone who wants to learn violin or music in general. When I teach piano, I use the Alfred piano method books. When I teach ensemble, I use the Carl Orff method. When I teach Vibes and marimba, I use my own methods. My method is a fun, energy-packed and safe environment where kids are encouraged to love God, music, their band members, and their electric guitar or bass. My desire is to partner with parents to teach kids (6 and up) basic music skills using technology, rock, blues and worship, and this to serve as foundation for their musical growth and performances in their lives. Music as a language is our priority. 1) Music is a language...... By: Victor Wooten. Both music and verbal languages serve the same purpose. They are both forms of expression. They can be used as a way to communicate with others, they can be read and written, then can make you laugh or cry, think or question and can speak to one or many and both can definitely make you move. ks better than the spoken word because it doesn't have to be understood to be effective." In some instances, music works better than the spoken word because it doesn't have to be understood to be effective. Although many musicians agree that music is a "language" it is rarely treated as such. Many of us treat it as something that can only be learned by following a strict regiment under the tutelage of a skilled teacher. This approach has been followed for hundreds of years with proven success... But it takes a long time. Too long. Think about the first language you learned as a child. More importantly, think about how you learned it. "You were allowed to make mistakes." You were a baby when you first started speaking and even though you spoke the language incorrectly you were allowed to make mistakes - and the more mistakes you made, the more your parents smiled! Learning to speak was not something you were sent somewhere to do only a few times a week. The majority of people you spoke to were not beginners, they were already proficient speakers. Imagine your parents forcing to only speak to other babies until you were good enough to speak to them! You'd probably be an adult before you could carry on a proper conversation. To use a musical term, as a baby you were allowed to "jam" with professionals. If we approach music in the same natural way we approached our first language, we would learn to speak it in the same short time it took to speak our first language. Proof of this can be seen in almost any family where a child grows up with other musicians in the family. In the beginning we embrace mistakes instead of correcting them. Like a child playing air guitar there are no wrong notes. Allow young musicians to play and perform with accomplished musicians on a daily basis. Encourage young musicians to play more than they practice. The more they play, the more they will practice on their own. Music comes from the musician, not the instrument. 2) RockSmith 2014 becomes your personal accomplished musician or band for you to play in a daily basis as it monitors how you play, dynamically adjusts difficulty to your skill level, then slowly introduces more notes and phrases until you're playing your favorite songs note-for-note. Lead Rhythm and bass lines. Rocksmith 2014 teaches you fast and effectively by letting you plug any real guitar or bass directly into your Xbox 360 games and entertainment system from Microsoft, PlayStation3 computer entertainment system, Windows PC or Mac. The Rocksmith Method will first make sure you can PLAY the instrument. You will play your favorite songs. You will learn a new technique every month. Rocksmith is designed to match the way your guitar is laid out, so there's no need to interpret tablature or learn sheet music to get started. You'll need a game console, a screen and a electric guitar or bass. It's non negotiable. If you don't have it. I will provide you with a loaner system until you catch up. 3) A dedicated and passionate Teacher to tie everything together and keep you on track. The early you start, the better. Kids age 6 or up are my best customers. They don't have adjust to anything other than to get their little fingers around a guitar appropriate to their size. You will need to take a step back... or maybe two steps. Let me show you a better way. These 3 things changes everything in how to learn or teach guitar. This is just to start the journey. I won't even mention custom songs or our musician club for you to perform your songs. "If music is a language. You should never stop talking." Remember that a language works the best when we have something interesting to say. Many music teachers never find out what their students have to say. We only tell them what they are supposed to say. A child speaks a language for years before they even learn the alphabet. Too many rules at the onset will actually slow them down. In my eyes the approach to music should be the same. After all, music is a language too. Let's Play & Grow Together. Private guitar and bass lessons are designed for students to progress at their own pace. Private lessons will follow the same RockSmith Journey structure. In a private guitar or bass lesson, the teacher has the opportunity to help the student individually for the entire lesson time, and structures each lesson personally for the student depending on their skill level and goals. Kids liked Joe a lot! Joe continues to work with my 7-year-old daughter, she loves his technique and style. Joe is patient and is very flexible with schedule changes. My kids love his class. Performing is amazing! It is my favorite part of learning music! After all of that hard work and dedication it takes to be prepared for the performance to nailing it...that feeling is amazing! As alumni to Duke Ellington School of the Arts, I have a large amount of performance experience! Taking lessons with me, I will make sure you gain the proper confidence to perform well! Can't find a teacher in Clarksville, MD?